I'm not sure why I find this so surprising, but it's a somewhat trivial task to write a program that can spew out somewhat coherent sentences, as long as you have a large corpus to work off. Markov Chains are essentially state machines with probabilities assigned to each of it's state transitions. If the probabilities were reasonable, the sequence of weather patterns should be reflect your 7-day weather forecast! We can apply this same methodology to generate some tweets! First we need some source material. I had scraped around 110,000 game reviews off Metacritic for another project I was working on. The technical term for this grouping of tokens is n-grams. Picking the correct n will impact the performance of your model. Pick an extremely large n, and your model will be very biased towards certain sequences. Pick too small an n and your model will spew out crap, since there's so much variability. Tri-grams are usually a good bet for decent sized corpuses, but for smaller ones bi-grams perform better. Now that we've decided on what the states will look like in our Markov Chain, how do we go about representing it in a data structure? 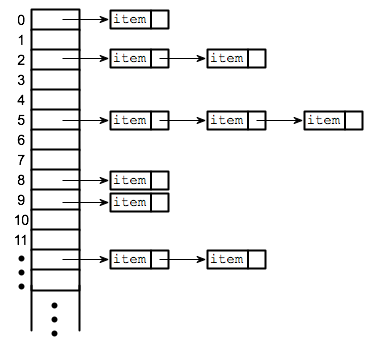 One simple way is to use a Hash Table/Dictionary where the keys are states in the Markov Chain, and the key's value are the possible transitions, represented by an array of keys (which assumes that each transistion has a uniform probability. Now that we have our Markov Chain ready to go, we'll just need to start off at some random state, and traverse the chain to generate some tweets!